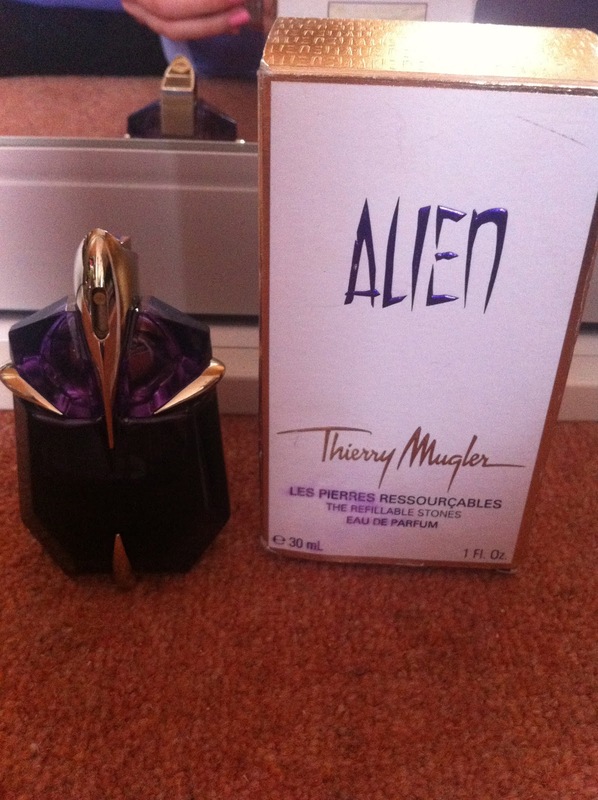 I got Alien EDP for Christmas (2011), although it was released in 2005, and it’s now one of my favourite perfumes! My mum and dad got me the refillable bottle so I’m using it as much as I can so I can make the most of the refills – not sure how much it is to get it refilled though. As you can kind of see, I’m half way through it and have only been using it for just over four months! I’ve got so many compliments wearing this perfume, which I don’t usually get as with most the smell fades but this is a long lasting perfume. I’m not sure how to describe the scent, most websites describe it as like jasmine and vanilla. It’s definitely unusual.